Zinc, gold and silver have been three of the best performing metals over the past year, with many stocks exposed to these commodities rerating strongly over the last 12 months. There appears to be ongoing value to be extracted from these sectors, as companies and investors alike look to take advantage of an ongoing bullish macro environment. So with a select band of ASX listed zinc explorers and developers shooting up in value over the last few months alone, there is every chance this well advanced junior stock may be next. The company in focus today is limbering up to finalise a Pre-Feasibility Study (PFS) on a Project with a minerals inventory containing JORC resources of 182,000 tonnes of zinc, 271,000 ounces of gold, and over 17 million ounces of silver. The PFS is fully funded and gives every indication this company will continue to grow as the mid-2017 completion date draws near. It follows a Scoping Study completed in March 2016 which suggested the Project was capable of providing strong financial returns and a fast yield on its investment... needing just a modest amount of upfront capital to get going. Not many companies can execute a silver offtake on the back of a Scoping Study – this company is one of them, and it is a good endorsement of the project quality. Thus far, results have been very encouraging and newsflow plentiful with catalysts continuing to emerge. However at the same time, it is still an early stage company and thus investors should seek professional financial advice if considering this stock for their portfolio. Potential short-term share price catalysts due in the coming months include drill assays, updated resources, PFS completion & new exploration drilling. In essence, the company’s flagship Hayes Creek Project in the Northern Territory of Australia looks like a robust, potentially low cost, high margin operation that features an attractive mix of readily extractable commodities. With all three metals loitering in commercial sizes quantities, marginal costs to expand its revenue generation are low. Furthermore, with resources that are mainly shallow and open at depth, this company appears well prepared to take advantage of rising zinc demand, and constant appetite for precious metals. In a comparison with this company’s ASX-listed zinc and poly metal peers, it appears to be undervalued — currently capped at just $14.7 million. The Hayes Creek Project is superior to many on grade equivalence, capital intensity, and proximity to infrastructure, so this ASX stock is well positioned ahead of incoming resource upgrades. With that in mind, it shouldn’t be long before this junior makes its presence felt. 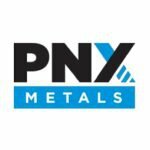 PNX Metals (ASX: PNX) is fast progressing towards a commercial zinc-gold-silver mining and processing operation at its flagship Hayes Creek Project in the Pine Creek region of the Northern Territory. The Project is well leveraged to rising commodity prices, yet sufficiently diversified in its commodity suite to ride out any individual price fluctuations. Strong global demand for zinc, in particular from China has been a boon for the zinc price, with significant amounts of zinc required for steel production, for infrastructure, and car making. A supply shortage also exists, which came about after BHP Billiton, Glencore and Nyrstar cut production. Major zinc projects at Century in Australia and Lisheen in Ireland also closed when zinc prices were in the doldrums. 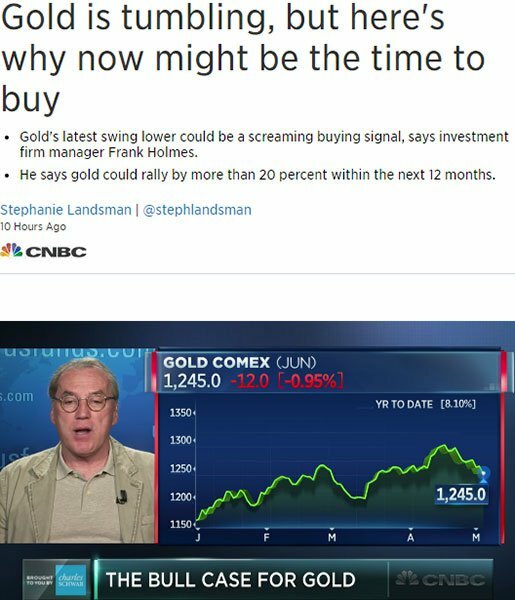 ...and there’s talk that supply could see an even bigger drop off this year. Even after the big gains over the last year, it is unlikely that this is the top of the market for zinc. Macquarie is of the opinion that prices will stay supported with supply to remain tight for years to come. 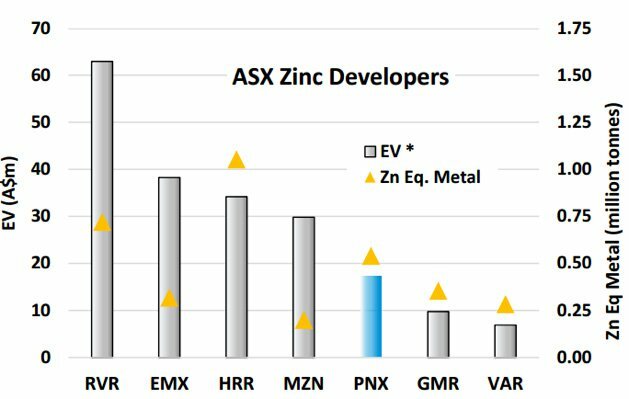 The following chart shows the enterprise value of ASX-listed zinc developers compared to their zinc equivalent metal resources. As you can see below, Hayes Creek appears superior to many of its peers yet its market value appears depressed. Considering the region PNX is operating in has significant infrastructure in place and is just two hours from Darwin and its ports and a straightforward route to Asian markets, once the word is out about the company it is not unfeasible to see it start to catch other developers and close the obvious valuation gap. So where is the Hayes Creek Project? PNX’s Hayes Creek Project is situated less than two hours down the Stuart Highway from Darwin and contains two zinc-gold-silver rich deposits: Mt Bonnie and the larger Iron Blow, located just three kilometres apart and on granted Mining Licenses. Metals sourced from mining friendly jurisdictions, such as Australia, typically see strong demand from end users keen to avoid the headaches that can come with sourcing materials from less politically stable or underdeveloped mining regions. PNX has developed a sound strategy with a visible and achievable path to commercialisation at its Hayes Creek Project, with no major obstacles standing in the way. It bears repeating that a promising Scoping Study completed in March 2016 indicated that if developed, the Project would provide strong financial returns, a fast return on investment, and would require only modest amounts of capital. In addition, PNX forward sold a small amount of silver (224,000oz vs a current total resource in excess of 17 million oz) to assist with study financing. This is a good demonstration of PNX’s capacity and capability to pursue non-equity dilutive methods of financing. The close proximity of the Project to essential services and infrastructure, and high zinc and gold equivalent grades make for a potentially low cost, high margin operation that features an attractive mix of readily extractable commodities for investors. It has been estimated that approximately 60% of the projected future revenues will be derived from the precious metals, with the zinc providing the balance and an opportunity for some healthy upside. Of course it should be noted here that PNX is some time off first revenues, and like all small cap mining stocks, this is a speculative investment, apply caution if considering making an investment. Metal recoveries have been conservatively scoped to allow for future upside as test work advances, and no value at this stage has been given to the lead or copper in the resources. This is a good example of how the company is managing the Project, ensuring the proposed development is achievable and based on sound principles. The Hayes Creek Project now hosts a JORC 2012 compliant global mining inventory of 4.15 million tonnes of ore with significant contained metal including 182,000t of zinc, 271,000oz of gold, and 17.1 million oz. of silver across Iron Blow and Mt Bonnie. While zinc, gold and silver are PNX’s primary focus, the deposits also contain appreciable amounts of lead and copper which are also tipped to rise in value in the foreseeable future. The mix of the metals contained is not uncommon, but the combined grades of those metals are fairly unique. When compared to other miners, the resources at Hayes Creek suggest that it could operate as a standalone gold and silver operation. There is an old mining adage that says ‘Grade is King’, and it is the combined metal grades of the resources that make PNX stand out, in addition to the significant zinc grades seen in the main ore zones. What can we expect from the PFS? The Hayes Creek Pre-Feasibility Study (PFS) is fully funded and due for completion by mid-2017. 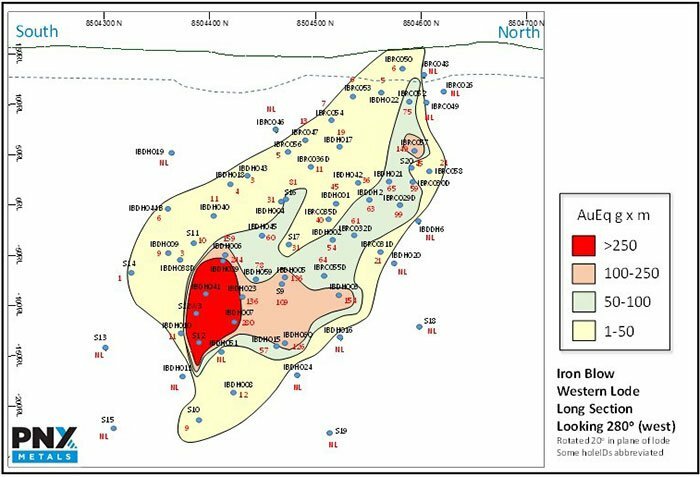 It will incorporate a new resource at Iron Blow which is due shortly, an updated resource for Mt Bonnie, published a few weeks ago along with new metallurgical optimisation data, and updated mining plans. Upon completion of the PFS, PNX expects to be in a position to convert much of the Resources to Ore Reserve – this is an important milestone for any aspiring development company serious about being a producer. 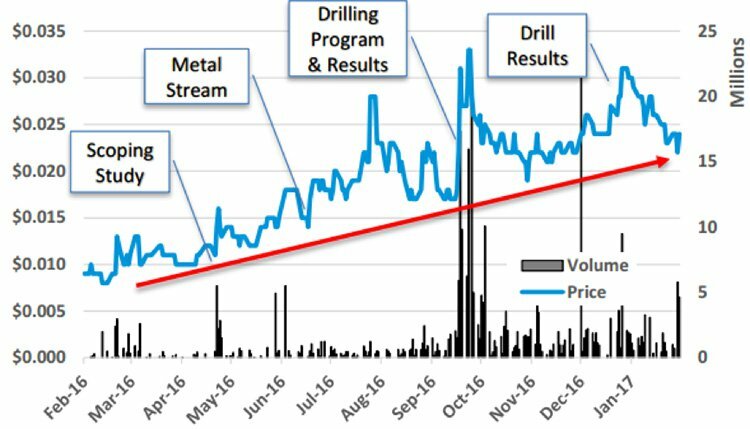 PNX completed a comprehensive infill and extensional Resource drill program at Iron Blow in late 2016. An initial JORC 2012 resource estimate completed by PNX at Iron Blow in 2014 estimated 2.6 million tonnes of ore containing 124,000 tonnes of zinc, 204,402 ounces of gold and 10.8 million ounces of silver. In January, PNX reported excellent precious metals and zinc results from Iron Blow across two parallel mineralised lodes. The company reported assays from ten drill holes, of the 30-hole infill and extensional drill program completed early 2017. The remaining holes are likely to show similar grades and thicknesses of mineralisation with results due over the coming weeks. This recent drilling also identified a new near surface extension to the western lode at Iron Blow. This new mineralisation extends to surface, lies outside of the existing Mineral Resource and will be included in the new resource upgrade due shortly. More of these results are shown below, highlighting results from the Eastern and Western Lodes. The Iron Blow Mineral Resource will be updated in coming weeks, which, along with the upgraded resource at Mt Bonnie, should see the Hayes Creek PFS completed on time by mid-year. In February, PNX reached another milestone and announced an updated JORC 2012 Mineral Resource estimate at its Mt Bonnie deposit. The Resource was estimated to contain 1.55 million tonnes of ore at 3.8% zinc, 1.34g/t gold, 127g/t silver, 1.1% lead, and 0.2% copper. This equates to contained metals of 58,000t Zinc, 66.8koz Gold, 6.3Moz Silver. Importantly, following this upgrade, 90% of the Resource at the Mt Bonnie deposit is classified in the higher confidence Indicated category and tonnes of ore, contained zinc, gold, and silver all increased from the previous maiden resource, published only last year. The majority of the Resource at Mt Bonnie is comprised of sulphide ore and occurs from approximately 25 metres to 170 metres below surface directly beneath the historical oxide pit. As such, the ore will be readily accessible by cheaper low-cost, low-risk open pit mining methods. Detailed open-pit mining studies are already underway at Mt Bonnie, as is the finalisation of an updated resource for the larger Iron Blow deposit. Upside still exists as the deposit remains open at depth and to the south where new near-surface gold/silver mineralisation was discovered at Southern Gossan, approximately 100m away from the limit of previous drilling. These studies, including further exploration and drilling, are fully funded placing PNX in a strong position as it moves towards its Definitive Feasibility Study (DFS). The PFS for Hayes Creek is fully funded and recent capital raisings demonstrate good support by new and existing investors. PNX intends to provide a Notice of Intent later in March and an Environmental Impact Statement later in 2017. These will be important milestones for the company as they form the basis of a license to operate and require PNX to demonstrate it has the capacity and systems in place to manage the project through development, mining, and eventually shut-down and rehabilitation. With the Hayes Creek PFS due for completion by mid-2017, the focus is now turning to improving project economics through resource expansion and optimisation of mining and processing parameters. If all goes to plan, the PFS will be followed up by a Definitive Feasibility Study (DFS), which should be completed by early to mid-2018. Completion of the DFS will lead straight into a decision to mine in 2018. PNX is envisaging seven to ten years of open-pit and underground operations with plant feed rate of around 400,000 tonnes per year and production of zinc concentrates and a gold/silver concentrate. Revenue from the project was scoped at approximately 40% zinc and 60% silver and gold, and if the mine produces silver dore, it may be around 800kg/week – which would be a great result! PNX also plans to turn its focus to further gold and base metals exploration. 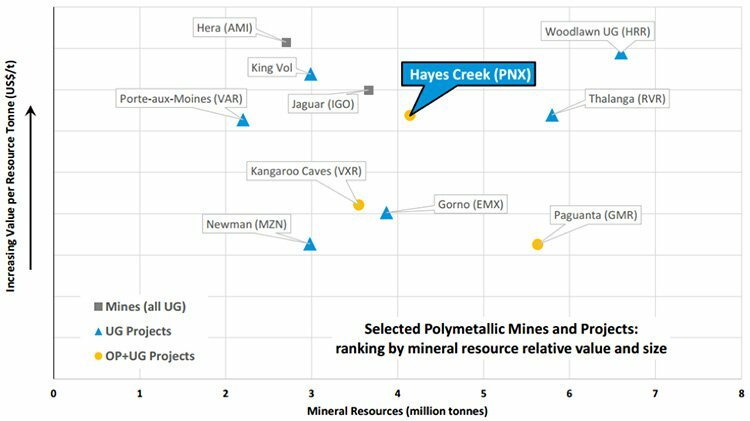 On top of its verified Resources at Hayes Creek, PNX holds significant exploration tenements also in the Pine Creek region that provide major upside potential for PNX and its shareholders. When PNX acquired the Hayes Creek Project in 2014, it also signed an agreement to earn-in up to 90%, at the Burnside, Moline, and Chessman Projects including 19 exploration licenses and four Mining Leases over a 1,700 sq. km area. These highly promising exploration projects are an added bonus to what is already a very good project at Hayes Creek. PNX has already completed Stage 1 of the earn-in and holds 51% of the tenements. The Company is continuing to Stage 2 to earn 90% by the end of 2018. From May 2017, once the Northern Territory wet season has finished, PNX will re-start gold and base metals exploration, including drill testing the most prospective areas. One exploration area that it will be re-visited to continue testing is the Moline exploration project where PNX completed a very successful maiden drill program in late 2016, identifying potentially economic gold, silver and base metals mineralisation. 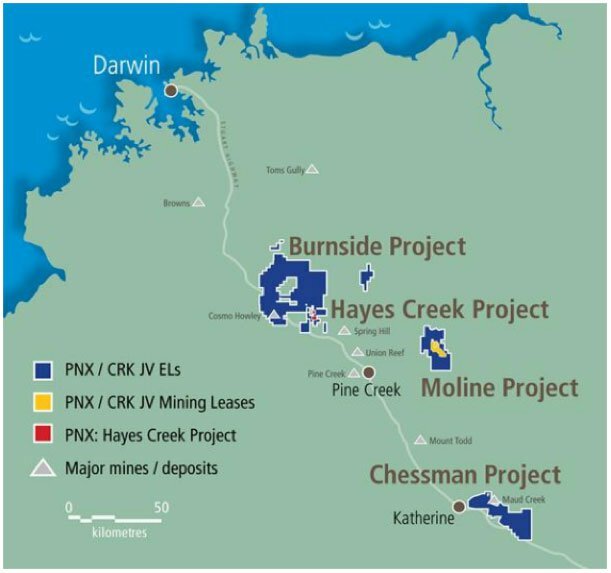 The Moline Project is located just 65 kilometres east of Hayes Creek gold-silver-zinc Project and sits less than 1.5 kilometres off the Kakadu Highway, well within trucking distance to Hayes Creek should an economic resource be delineated. With the added potential for a base metals mineralised system at depth, the Moline Project shows strong synergies with the Hayes Creek Project. There are also a number of other exploration prospects in close proximity to the Hayes Creek Project where smaller gold occurrences could be expanded into mineable resources. 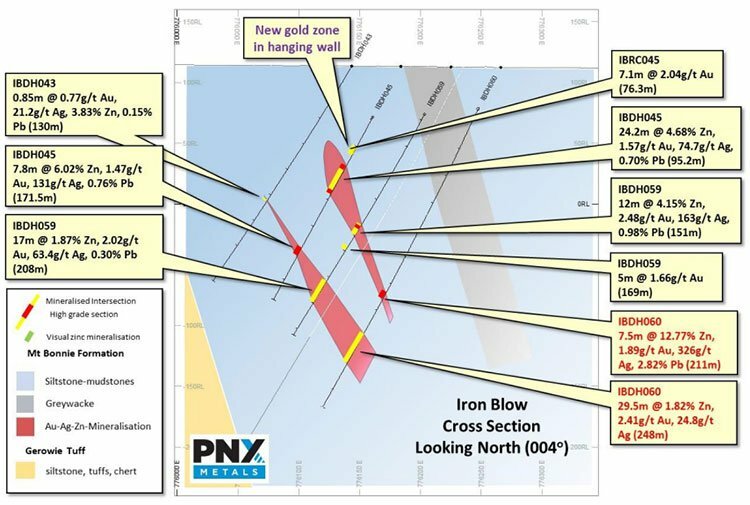 PNX has been collecting and interpreting a large amount of exploration data including electromagnetic surveys, soils testing, and historic drilling with numerous high-quality targets identified. There’s a good chance for the discovery of additional economic mineralisation considering the extensive gold Resources in the region. Keep in mind that any new projects will incur incrementally lower costs. An independent valuation back in November from the Kamara Group suggested the company’s true value may not be currently recognised by the market. Taking the average of two valuation techniques — a discounted cash flow analysis and a peer group comparison — Kamara Analyst, Geoff Muers, valued the company at $29.9 million, representing a 94% premium to the company’s current $14.7 million market cap. However, broker recommendations and estimations should not be taken as guaranteed to come to fruition. 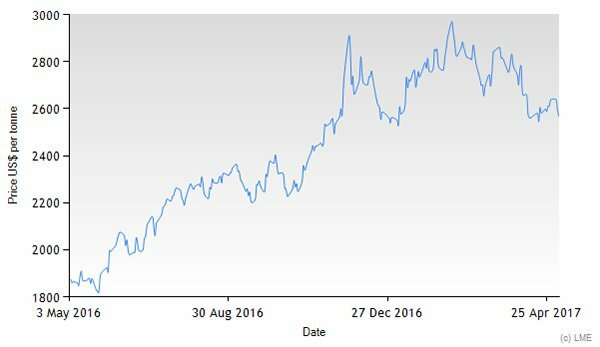 The following chart shows the share price and the volume of shares traded and the response to company news over the last year or so. PNX is well under way in its progression towards having a fully operational zinc-gold-silver mine, leveraged to rising commodity prices, yet diversified to hedge for swings in commodity prices. There is also the added upside of any future exploration success on PNX’s exploration ground and any potential revenue derived from the lead and copper resources at Hayes Creek. However any future success is speculative at this stage and investors should seek professional financial advice if considering this stock for their portfolio. Upcoming news flow around the Iron Blow assays, Resource upgrades and completion of the PFS could prove to be share price catalysts against the positive background of rising commodity prices and general improvement in the commodities sector. As PNX marches towards production — with big announcements imminent — now may be a good time to take a closer look at this undervalued junior on the brink of becoming a zinc-gold-silver producer.